Under the terms of the new, 10-year agreement, the communities of Bethany, Bridgeport, Easton, Fairfield, Milford, Monroe, Stratford, Trumbull, Westport and Woodbridge annually will send 185,000 tons of post recycled waste to the Wheelabrator waste-to-energy facility in Bridgeport, where it will be converted into renewable electric power. 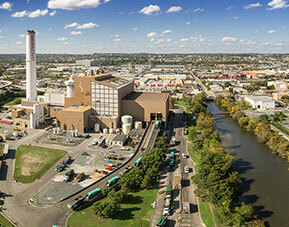 Designed, constructed and operated by Wheelabrator Technologies, the Wheelabrator Bridgeport plant processes up to 2,250 tons per day of municipal solid waste. Inside the plant, waste is transferred to utility-type boilers that recover thermal energy in the form of high pressure steam, which is converted to electrical power by a turbine. Wheelabrator Bridgeport has an electrical generating capacity of 67,000 kilowatts; the equivalent of supplying the electrical needs of 83,000 Connecticut homes. The facility also recovers approximately 21,000 tons of ferrous and non-ferrous metals annually that would otherwise be disposed of.